Sales management isn’t about overseeing deals, but rather about managing the activities and operations that eventually lead to a sale. What you as a sales director want, is a snapshot of all the activities your team has done. Sales activities create and drive the pipeline, which makes them a great and manageable predictor of sales. 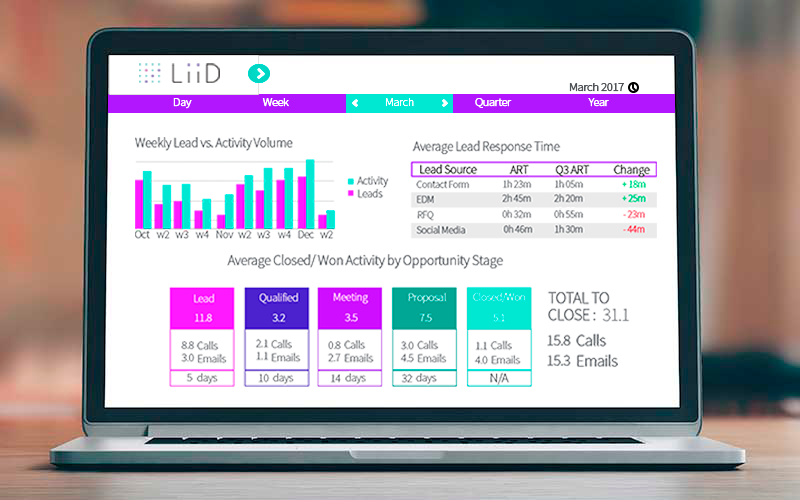 Staying on top of your sales teams’ opportunities is a hassle. You have to read through multiple emails or call comments to get an accurate view or even ask the sales rep directly whether the opportunity is closing and when. 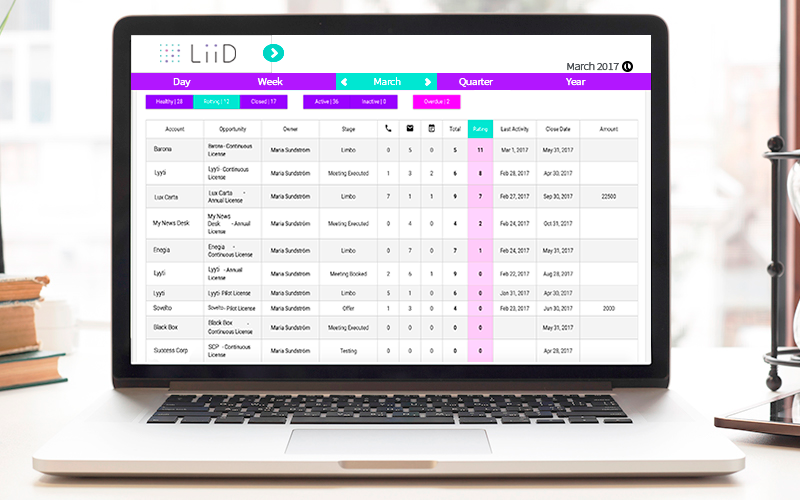 The LiiD dashboard gives you a snapshot of the deals your team are working on and the information you need to bring in more and larger deals. When sales are on the rise life feels great, but during a downturn it is not uncommon to feel like there is a cause for panic. 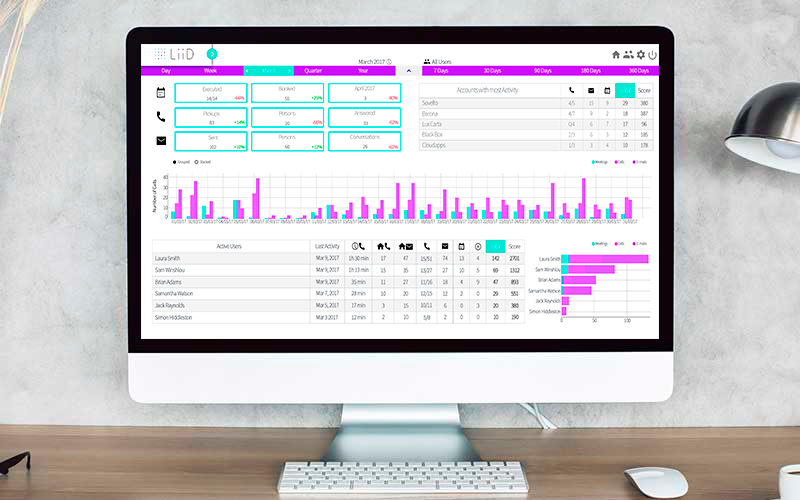 The sales dashboard helps you understand your sales process and gives you a thorough overview of what is working and of everything that needs your attention. Identify potential stumbling blocks in the sales process. Who wouldn’t want to improve their forecast accuracy? 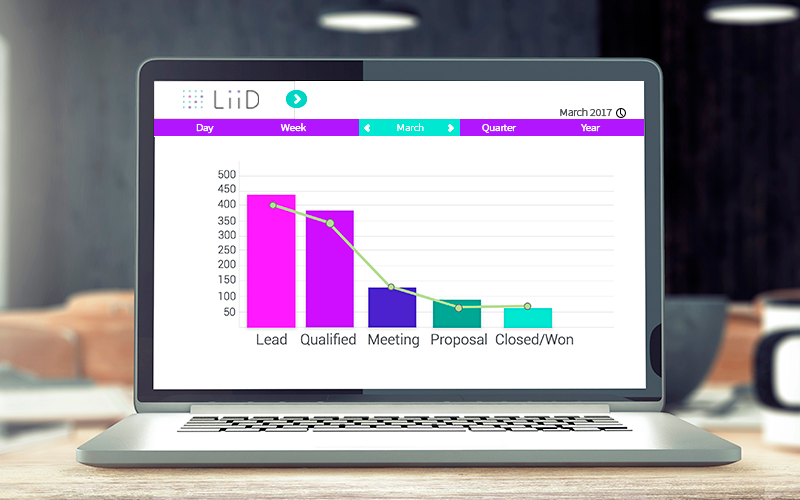 The LiiD Dashboard gives sales teams the data and context to make accurate forecasts, based on actual 100% correct data instead of a ”gut-feel”.